As many as 17% of drivers have confessed to indulging passion with their partners while behind the wheel, according to a new poll investigating driving distractions.The survey*, conducted MyCarNeedsA.com, the UK’s leading price comparison site where service providers quote for servicing, MoT and repair work found that 70% of motorists admitted to eating and drinking behind the wheel, while 11% of motorists admitted to putting on cosmetics and 51% of motorists admitted to changing their satnav while driving,. (*Source: Survey of over 1,000 motorists, April 2017). The research also reveals that 20% of motorists said they use their phones to make calls while driving and 6% admitted to checking social media. According to the latest figures, 22 people were killed and 99 seriously injured in accidents in 2015 in which the driver using a mobile phone was a contributory factor. Figures released by the Department of Transport last year also revealed that there was a 3% increase in the number of road traffic accidents on UK roads between June 215 and June 2016. Of the 24,620 deaths and serious injuries on British roads, 68%of them were down to driver error. Scott Hamilton, Managing Director of MyCarNeedsA.com comments: “Road traffic accidents make up for a large percentage of personal injury compensation claims. Whilst drink driving is the cause for a large number of road traffic accidents, a growing problem is distracted driving. “Our statistics show that a large number of UK motorists are driving while distracted and are effectively multi-tasking behind the wheel. This is heightening the risk of accidents and is making the roads much more dangerous for other drivers. It is very disappointing to see that many motorists appear to be happy to break the law, despite the increased licence points and fines. MyCarNeedsA.com now works with 4,000 dealers, garage and workshop partners nationwide. 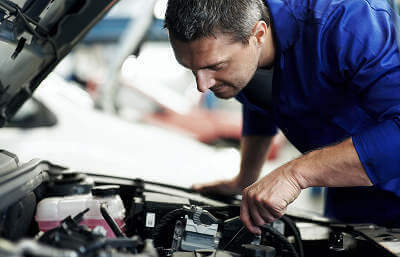 Only Authorised Repairers provide quotes for work, after a thorough vetting process and only genuine parts are used on all customer vehicles. Service books are stamped and a 12 month guarantee on all parts and labour is provided. Eighty per cent of jobs generated by MyCarNeedsA.com for its service providers are grade A.